2. Blog about this challenge, then link your blog entry or challenge page to the Linky Tool below so we can hop over to follow your progress. 3. 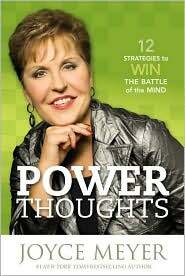 Start reading your six (or more) inspirational ebooks. They don't have to be romance. But it would make my heart sing if you chose at least one inspy romance for the challenge, and bonus points if it's edgy! 4. 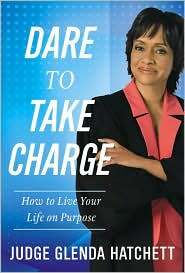 In the comment section of my challenge page, come back and tell us which books you've completed. And if you review them in your blog, leave links so we can follow. To be eligible for the prizes, make sure to update your original post when you've finished the challenge. 5. I will have blog award buttons available for everyone who completes the challenge. One person from the Linky Tool who finishes 6 ebooks will also win a $10 Amazon gift card. The winner will be chosen 12/31/10. KIM MEEDER and LAURIE SACHER are very close friends. We can count Mia, the dog, as part of this friendship. One day Laurie adopts Mia. Little does Laurie does not come to grips with all the ways Mia is suffering until she's in the car driving back home with Mia. While driving home, Mia begins to realize she has rescued an animal with big health issues. "Falling silent again, Laurie glanced out into the forest. Emotion tightened her voice as she recounted her dog's losses, her pain." Since Laurie is close to Kim, she shares long, significant talks with her friend while they hike or horseback ride. Mia becomes the center of their conversations. These conversations always lead to God's heavenly hand in our personal lives. 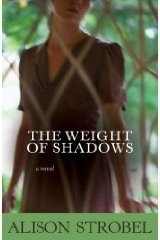 Many times while reading THE WEIGHT OF SHADOWS BY ALISON STROBELI would stop myself from using the wrong title. The words The Weight of Silence would come to my mind. I felt very silly. Then I thought about the plot of Alison Strobel's novel. The characters in the story carry the heavy weight of SHADOWS and silence. 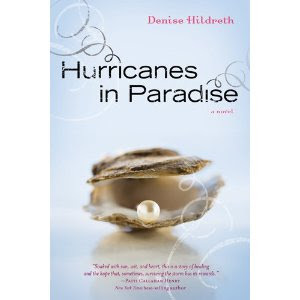 This novel is all the better because it is Christian fiction. After a very quick romance, these two people decide to live together. They become engaged choosing their date of marriage as the next July. Rick quickly tells about his past to Kim. Kim shares her past with Rick. Both have lived through terrible childhoods. Neither Kim nor Rick have made peace with their demons. Kim knows a little about Jesus. Rick not as much as Kim. So it is a relationship void of the Savior, Jesus Christ, to guide and aid them with His comfort and eternal love. Soon the relationship changes between Kim and Rick. The changes are far from good, unpredictable and unexpected. I have just ended a wonderful journey to Eagles Mere, Pennsylvania during the 1920's. 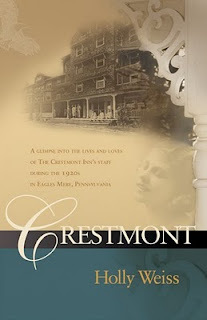 The story takes place at the Crestmont Inn. Gracie is the main character who leaves home with the dream of becoming a Vaudeville singer. The book ends in the 1970's. 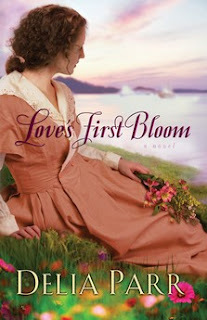 So we start with Gracie as a young, single woman with a strong dream making her way through life with only the new friends she meets at Crestmont Inn. 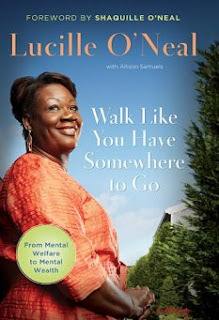 Reading the book is like taking a step by step walk through any ordinary woman's life. The book is gentle and quiet. Nothing really drastic happens except for those who die from age or small accidents like a golf ball hitting one of the Woods' children on the head during the parade. 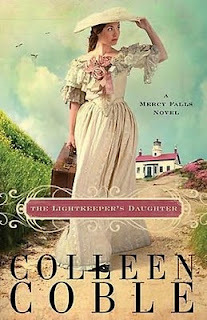 Also, this is Christian fiction. There are scriptures within the story. I really loved the times when authors or titles of books were mentioned. : Sister Carrie, F. Scott Fitzgerald and The Woman in White. Collettas kitchen sink Scripture Memory Verse This meme is given by Colletta's Kitchen Sink. The verse is Luke 6:46. Ruth Livingstone's father is a preacher. His name is Rev. Gershom Livingstone. He is a kind man with a daughter named Ruth. Rev. Livingstone's mission in life is to save the Fallen Angels in New York City. His desire is to give these young women the chance to meet the Lord and live clean, wholesome lives. Rev. Livingstone's whole life changes when he becomes convicted for murdering one of these women. Not only does his life change, his daughter, Ruth's, life changes also. Ruth will begin a new chapter in New Jersey. Each day is an unknown for Ruth as she worries about her father and all of the recent circumstances in her life including the baby, Lily, the daughter of the murdered prostitute. In Bittersweet Memories by Cecelia Dowdy, I became so involved with the problems facing the characters in the book. Karen Brown is the main character. After disturbing information about her fiancee, she returns to her mother's home in Annapolis. Lionel, Karen's fiancee, shamelessly embezzles thousands of dollars from their church. The assistant treasurer becomes his accomplice. I felt so badly for Karen. 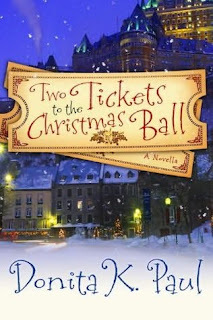 It is no surprise that Karen ends up at her mother's home with baggage and a heavily burdened heart. 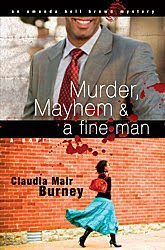 Murder, Mayhem & a fine man by Claudia Mair Burney is a novel about the powerful issue of cult involvement. At the very end of the book Claudia Mair Burney gives her heroine a voice one last time in the novel. Bell give five important points to know whether the man you are falling for is an off the wall character who might bring danger and trouble your way. These five points might possibly lead some woman away from a man who has his head on wrong. If readers read this book, I hope that they will not bypass this important page. 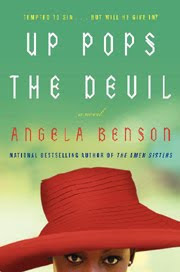 In the novel Amanda Bell Brown is a psychologist. She brings her life experiences to one important case. After two men are murdered, Bell is called to talk to Susan Hines. Involved with a cult leader Susan Hines has become totally unresponsive to anyone. 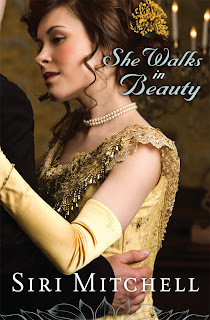 As Bell works with this young woman her past comes back to haunt her. 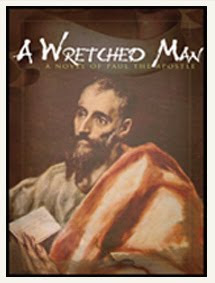 She sees Susan Hines as whom she might have become if God had not saved her. A Maze of Grace is Trish Ryan's second book. I want to read her first book, He Loves Me, He Loves Me Not. 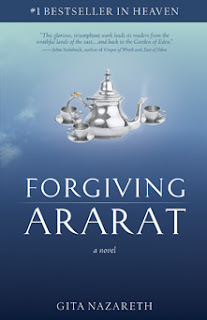 Trish Ryan shares some details that are in her first book in A Maze of Grace. I wondered how in the world she survived that part of her life. However, she did pick herself up, dust herself off and start all over again. I'm sure she could only do it with God's hand in her hand. The second book is very revealing and honest. Trish Ryan is not afraid to write about days when you don't know where you are going, if you will get there or if you have already been to that place already. Trish Ryan comes clean and tells about wandering in a maze almost like the way the Israelites wandered in the desert. I am thankful for sunny daysI am thankful there is going to be an escrow acct. for the people who have suffered on the GulfI am thankful for the friendly mail workers who work so hard in the heatI am thankful for my cat. She gives her love so freely. 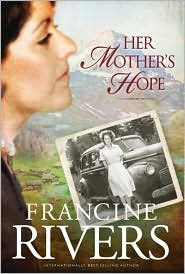 Her Mother's Hope by Francine Rivers is a wonderfully amazing story about a Swiss woman named Marta. Marta's father is a hard man. Her mother is kind while her sister Elise is as soft as a whisper. Therefore, she clings closely to her mother. The book is indeed Marta's Legacy. Marta proves herself to be strong always depending on the help of the Lord while moving forward doing what she can herself. Sometimes her strength is almost like a bulldog when it comes to protecting her future family. Martawithout fear moves around the country ending up in Canada and California. This book, 66 Love Letters by Dr. Larry Crabb is astounding. I've always wanted to read a helpful Bible aide about every book in the Bible especially those books like Revelations and Leviticus. Thankfully God heard my desire. I received a copy of the 66 Love Letters which is described as "A Conversation With God That Invites You Into His Story." Thankfully God heard me. I doubt if I will ever read another book as user friendly as this one. 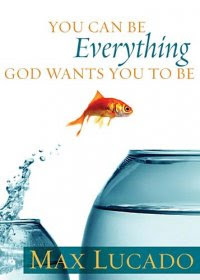 The book is put together with Dr. Crabb sharing his personal conversations with God. Many times throughout the book, I thought Dr. Crabb knew my inner thoughts. I had grappled with the same questions as he grappled with through those nights. I also love the way he, Dr. Crabb, makes each book in the Bible extremely interesting and simplistic. Truly, this is a book I intend to pull off the shelf over and over again. From the moment "THE BRIDGE" arrived in my mailbox, I thought of the book as a special gift. 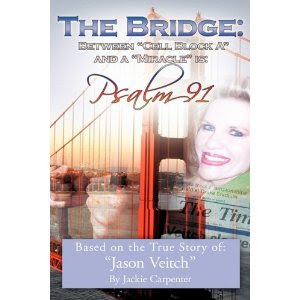 Along with the book came a gold pin titled Psalm 91, a bookmark and a personal autograph from Jackie Carpenter, the mother of Jason Veitch. When I opened the book, I started reading and could not stop unless someone knocked on the door, the telephone rang, or I needed to check on a meal being cooked for dinner. It is impossible to tell in my own words the tragic ordeal, trial, painful days and months lived through by this family and their friends. I do know from Georgia to New York and back again prayers rose to Father God and His Son, Jesus Christ's throne.